I answered your questions as fast I could, but still the video is very long. I swear I will never, ever do this again. Ever. Again. I’ve been known to ramble. I’ve been known to not know when to shut up. You can feel bad for my husband, it’s OK, I certainly do. If you fall asleep halfway through while watching this video, well, look at it this way, you got a nice nap out of it. I swear one of my legs is almost a good two inches shorter than the other one. My chiropractor told me it was the worst imbalance he’d ever seen before. Explains why my back is always hurting. Maybe I should wear lifts in my shoes? Yeah, probably just one shoe or it wouldn’t really work. Happy long weekend to you, too! Fall here is heaven. The foliage is amazing. Wow, Darlawaters…that’s a short feature film. And, I watched the whole thing, well most of it. My question didn’t make the vlog. Sorry. Next time I’ll try to have my poop grouped! Have a great weekend and good luck with the juggling – you’ll be fine and dandy! I couldn’t believe I managed to drone on and on over 20 minutes. Hope you have a nice long, relaxing weekend! Get out. You turned off the TV? I feel so honored. Thank you. But there’s only one thing I hate more than seeing pictures of myself and that’s hearing my voice and watching myself on video jabbering. It’s painful. It is really strange to carry on a conversation to a quiet room for over 20 minutes. I’m sure your voice is fine. I think everyone hates the sound of their recorded voice. I sound like a trucker. YOU CRACK ME UP!! After my extended period of time off, this made for a perfect return to “Maine” for me! Oh, and for what it’s worth—if you are “a mess”, there’s no hope for me! Aw, thanks! There is hope for you, for sure. Trust me, this vlog doesn’t show you guys how frazzled I was a few days ago. I was freaking out. I am too old to go back to school. What was I thinking?? Definitely go for the master’s! Like your dad said, it’s never too late. I applied to get my master’s in counseling when my son was a baby. What was I thinking??!! Needless to say, I put it off for a few more years. I suppose it was for the best as I don’t want to be a counselor anymore. Saved By the Bell on DVD, eh? You should be ashamed. And I am. Extremely. I’m sure there’s more I could’ve said, but Screech just came to mind immediately. That was good! I had a cup of coffee and listened to it. Hope your classes go well. They sound tough, but no doubt you will do swimmingly. (That words making a comeback, I just know it). Yeah, I could’ve met and married Ross but then I’d never have met my husband and my kids wouldn’t be here, so it’s fate I was eating ravioli on my break that day. It was fun reading through the questions. I only wish I had prepared my answers ahead of time so it wouldn’t be so damn LONG a video. …oh and thank you for your patience in sitting through some of the video! No problem. I’m in a kind of “do nothing” frame of mind. It’s a “heavy” day for me – Neil Armstrong being laid to rest (while saluted by a “blue moon”), and the 15th anniversary of the death of Lady Diana Spencer. The latter strikes doubly hard – as an honourary member of the Coldstream Guard (those guys in the red tunics and bearskin hats outside Windsor) it hurts to lose a royal, no matter how briefly she was among them; and because we were in Canada, in very pro-royal Trenton at a B&B, and watched the funeral with a western Canadian couple and the New York-born owner and his Ontario wife. We were all toughing it out until Elton John started to sing – then six strangers held each other and cried like babies. Not the happiest of memories, but one I will NEVER forget. It’s been a very somber week, for sure, John. I remembering watching the Prince Charles and Lady Diana wedding when I was 11 years old. My dad bought me a Lady Di doll (that I still have today) and I watched every second of that wedding, I was mesmerized. I didn’t know it was the 15th anniversary of her death. I’m still watching and giggling and just digging listening to you. I think I’d really, really enjoy drinking a cuppa Joe and chatting with you. Oh, El that would be AWESOME. I could see us doing that someday. Wow, I had some idea that education jobs were non existent, but I had no idea that non existent. It’s gonna be sweet when i get another lay-off notice this school year! God, I hope not! What do you teach? It’s not good up here in Maine. I have a friend who has a teaching degree and she’s having a hard time finding anything, even ed tech jobs as some teachers are taking those as well. But as for the medical field? there’s tons of jobs in that one. I just can’t do it, Darlotta. Too much real work going on to commit 25 minutes and 21 seconds to this project with the kind of intensity your vlogs deserve. Resolving to come in this weekend with a tub o buttered popcorn to to it justice. There’s no epic baton-twirling, so you don’t have to worry about choking on the popcorn or wearing Depends this time around. Enjoy your holiday weekend, Pegolacious! It was delightful! Worth the wait, Darleeta. You are officially my hero when it comes to vlogging and I learned sooo much about you. On a different note, last night I watched that show on Nat Geo (I think) about the park rangers in Maine and their tough job. The sheriff/ranger was handling a call about a moose stuck in some mud (not kidding) when a couple of ATVs shot by and they were obviously UNlicensed (he could tell from across the road). He sprang to his squad car in hot pursuit but somehow lost them on the country roads. 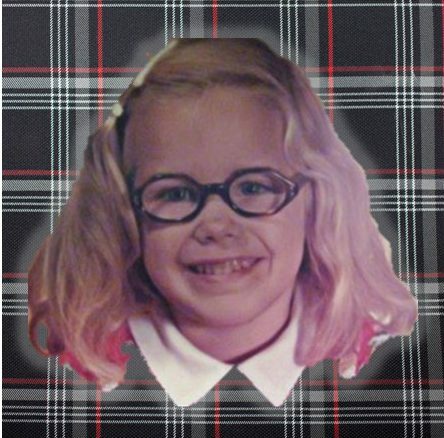 I could have sworn I saw a flash of green plaid on one of the scofflaws…Have you ever been on TV, Darla? I think maybe I showed people a little too much about my personal life on this vlog, but oh well. what’s done is done. When are YOU gonna do one? Huh? Hm?? And no, that wasn’t me on TV. Sorry to disappoint. Ever since I hit that moose with my little clown car, I prefer to stay as far away from the wilderness and ATV-riding maniacs as I possibly can. You get an A+ for this post! See if your professors will let you count it as extra credit – not like you will ever need it. I think I might need it. I took a practice quiz today and got a 66. Not a good omen. ha! That was a BLAST! Good luck in school. Loved it – watched it on my lunch hour yesterday with my feet up on my desk!! Hang in there – going back to school is tough – doing it with a family is even tougher. I survived, and you will too. Thank you, I REALLY need to hear that it’s possible to get this school thing done. I am starting to doubt myself after this week! How are you feeling, Katy? I hope loads better! thought you did great. giggled and giggled. Aw, man! I got all excited when you said you had 5 tattoos! Rats. Well, it’s never too late. It is never too late. I might have to get one. I’ve always wanted the Chinese symbol for Om tattooed on my ankle. I just don’t want to feel any pain. I’m a huge baby when it comes to pain. Do you have any tats? C’mon, spill it, B. You almost went to Evergreen…you survived the Grunge Era…I’d be willing to guess Yes, yes you do. Cheese and rice, I’m glad I didn’t follow B’s questions! You really had me going on the tattoos, too, D-Pants! Can’t wait for the post about your BFF, Steve. I was JUST driving by the ‘Steven King’ mill a few minutes ago. I really need to snap a few photos of these places so I can blog about it. Ha! Oh, Jean, you made my day. I always considered myself the exact opposite of ‘enchanting’. The eyebrow thing is weird, because I never realized I did that until I videotaped myself doing it. Highly entertaining. And thanks for answering my burning question. I really needed to know the answer to that! And I need you to know that I did not know the answer to that question before……. That’s all I’m gonna say on that. Oh, and next time, just to spice it up, I think you should answer the questions WHILE baton twirling. Darla – I’ve never been to Maine and you make it sound so wonderful. Room for a houseguest? I’m a comin’! Plus, didn’t you once say that you live near the LL Bean HQ? Of course you worked in a candy store! That must have been the best job ever. I worked at a video arcade (remember those?) and got to play games until my eyes popped out of my head. Maine is pretty wonderful. I wouldn’t live anywhere else. Well, maybe Hawaii. I grew up in Freeport. We lived right next to L.L. Bean, shared a driveway with their parking lot. My great-grandmother, grandmother and grandfather all worked for Bean’s. Long history there. (I did too in high school) Right now, I only live about 30 minute drive from Bean’s. The candy store was a cool job! I worked there almost 2 years when I was in my early 20s. I wish I could work there again. I’d be in heaven. I vanish off the Blogosphere for a few weeks and you go and become Michael Friggin’ Moore! I share your “love” of Bieber and just “love” that my girl is so into that squealing little Aniston haired gerbil. I will always be jealous of your Maine autumns. It’s why Baaah Haahbaaa (where Acadia is) is where Scott and I went to camp and hike immediately following our engagement in the fall of 1995. Gravy? LOL I DO know the answer to why it’s both delicious and gross at the same time. That was an excellent question by Speaker7. My favorite question, though, was “most embarrassing as a mom” because I do that too. I’ll pick up a raisin or a rock off the carpet and instinctively smell it first. And my youngest is SIX (so I should really stop that, already). I still shudder when I see a little mustard dripping off someone’s arm – it reminds me of the newborn stuff. I know. TMI. I regret not having submitted a question, but I still enjoyed your QA session, and no, I was not bored at 23 min. So glad you’re back at school! Delighted to discover that you were in special ed – a super-breed for sure. I learned much from many of you all; so sorry you can’t find a job in that field. I’ll agree that your career change is profound (I’m thinking bitchy adult, sick people and all their bitchy family members is quite the opposite of dealing with special needs, little people and the occasional bitchy parents). Nope. Too many bitchy big people. I’d find a happier field myself. Should make for some great future blog material. Patients are rarely, uh, patient. I’ll bet if you put “I’m a Maineiac” on your resume, you’d be a shoe-in for any nursing job! I can see you as being a very nurturing nurse. Keep that sense of humor, especially with bitchy folks. It’s contagious. I need some of that; I’m mostly sarcastic, which gets me nowhere. I think (hope) the twisted sense of humor gets me through working with patients, Shannon! Thanks for answering my question! All I really wanted to know was that I’m not the only one who has frequent word vomit. Thank goodness. Oh, no. It’s an affliction I’ve had since birth. I think I will do ONLY vlogs the rest of the semester! It’s so easy. But then, I have the problem of looking like a total tool if I’m not too careful and just blab. Ha ha ha The girl with the ‘stache glasses gets all maudlin with her question. I LOVED your answer(s), though! You rock for doing this! This was so great. I can’t wait for the day when we’re hanging out binge-drinking coffee and talking about why you SHOULD NOT be embarrassed to own Saved by the Bell on DVD. Also? You look like you’re in your 20s. For serious. Tell your husband to move his shoes. I’ve decided I’m coming over now. I’ll have to invite you over for a Saved By The Bell marathon. Well, on second thought, maybe we should get drunk first. I’m not sure I can take Screech in big doses. Also, bless your young heart for saying I look in my 20s. I’d settle for late 30s. Trust me, up close the wrinkles and gray hairs are downright scary. Every year that goes by, my ‘old hag meter’ shoots up even higher. Darla, it was great. You are defining blogging in your own way; which is wonderful. Currently, I am out of town and the internet connection here was so slow that, it took almost two hours for this video to get uploaded. But it was worth the wait. Several things here. You worked in a candle store (which I knew already) and a candy store? Are you making this all up? I bet you’re going to tell us later that Matthew Perry came into the candy store while you were on break. I’m breaking into your house and stealing those Donnie and Marie dolls. The tattoo part was the BEST!!!!! Totally laughed out loud. You had me. Andy was the lamest of lame. Poor actor has been in and out of rehab and jail for ages. He could never live down the lameness off his character Andy. This vlog could’ve ended with a real showstopper had you chosen to sing the Cheers and Silver Spoons theme songs. Yes! I often think it’s odd I worked in both a candy store AND a candle store. I worked at basically every single store in Freeport since I was 15. (including L.L. Bean’s). The candy store I worked at was for two years. Fanny Farmer’s. Oh yeah. I NEVER got tired of customers walking in and asking me where Fanny was and if she grew her chocolate on a farm nearby. Or if the name of the store meant the candy would go straight to their fannies. Oh, ha ha! very funny!! Matthew Perry didn’t come into my candy store. But I did get hit on almost every single day by some guy who’d come in and buy like 10 pounds of fudge just so he could talk to me. Oh, to be 22 years old and able to shovel mountains of sour patch kids into litlte bags with ease! I had it all then. I remember when the tiny small town drug store I worked in during high school one year got bulk gourmet candy (and other bulk snacks) like the big city novelty stores. I felt like I had arrived. Using those big metal scoops. Wow. It was an honor. Are you saying you worked there? Or you would just use the scoops to help yourself because you had a side-career in shoplifting? Speaking of that, remember way back when the grocery stores would have Brach’s candy in these giant bins? And this huge metal scoop? And my brothers and I thought that meant it was all free? So we’d stuff our pockets with little butterscotch candies? And my dad would find out and make us return the candy and made us go to bed early do we coudn’t stay up to watch Ironside? Ha! I forgot about Brach’s bulk candy at the grocery store! I can remember almost every kind. Always that white taffy stuff with the pieces of “fruit” in them. Always those chocolate star things. Always those nasty butterscotch disks. And cinnamon disks. And those assorted sour balls. By the way, I LOVED those. I have searched high and low and have not found them for at least a decade. We avoided those taffy things with the mystery fruit in them like the plague. Or my brother would just use a few of them to wing at my head when we were in the backseat of my dad’s station wagon with the wood paneling. God, I’m having serious memory flashbacks! Those things were massive — like bricks. I can’t believe you don’t have brain damage.